Have I mentioned that I love this skirt? It has basically been on repeat since I bought it in Paris (recently seen here). 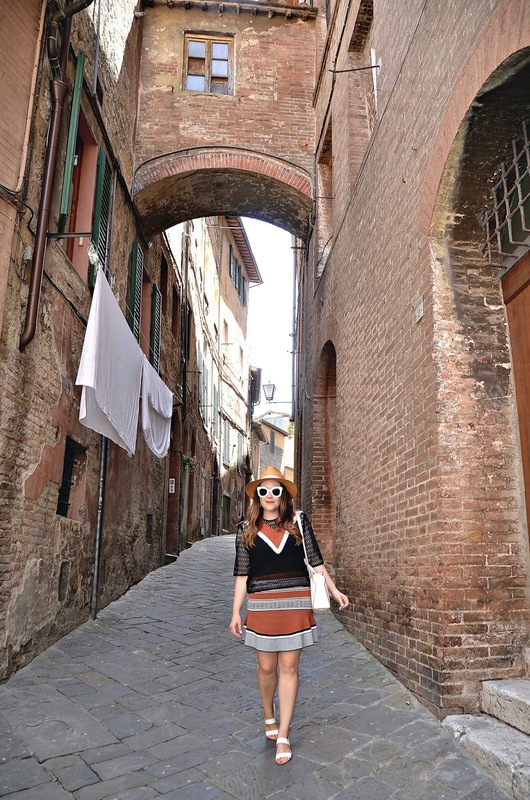 The coordinating top, however, I actually stumbled on in Florence (it's the same brand -- Sandro). I was planning on just wearing the skirt with a simple black sweater or shirt, but when I saw this adorable crocheted coordinating top, I couldn't resist. Especially since I knew we were heading to Siena later in the week. 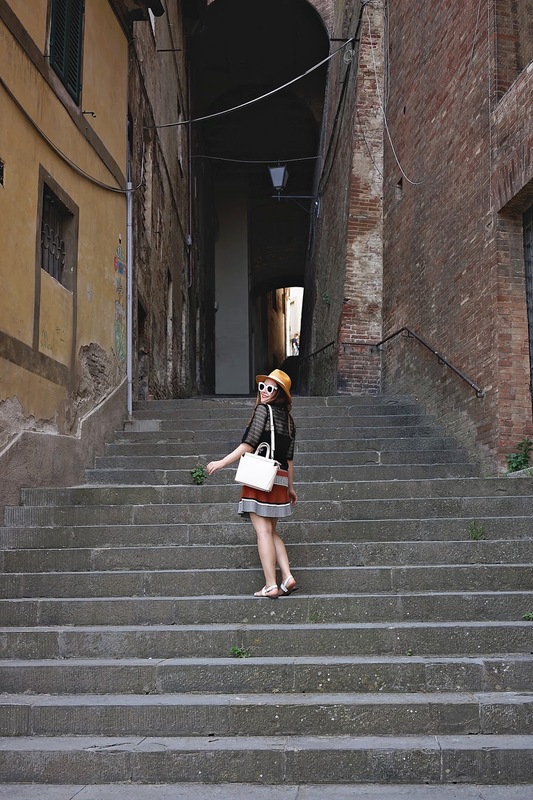 I mean, is this not the perfect outfit for Siena (you can read more about Siena here)?